Load Cells – Utilcell News archivos - Load Cells - Utilcell Load Cells – Utilcell or install Google Chrome Frame to better experience this site. In this section Utilcell will give you information regularly about the latest products in the catalogue, and any other information that may be of interest to you. 01/03/2019 – At Utilcell, we are very proud to continue growing every year. This time we started 2019 enlarging our facilities with a new 1.000 sqm space in Barcelona’s factory and headquarters. 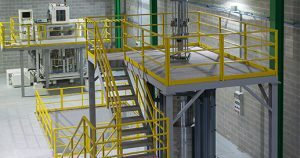 This facility is a new internal laboratory space, equipped with many calibration test machines of 300kg, 1t, 5t and 10t, with dead weights, and with a hydraulic force machine with a calibrated reference load cell up to 600t. 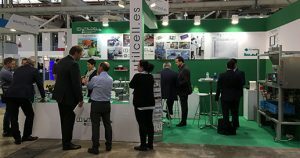 15/02/2019 – One year more, UTILCELL has joint EXPOSÓLIDOS 2019, the International Exhibition of Technology and Processing of Solids held in Barcelona on February 12nd, 13rd ad 14th. We would like to thank all our clients and friends for visiting us at our stand. It has been a great opportunity to receive your comments and suggestions about your needs and show our wide range of products as well as some of our new features of this year. 07/01/2019 – UTILCELL has been awarded in the awards of the industrial portal AUTOMATION INSIDE AWARDS where the readers of the portal choose the best companies and products of each category. 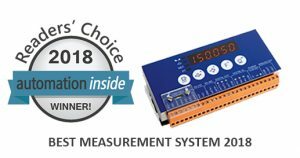 We have obtained the SILVER MEDAL as the BEST AUTOMATION COMPANY 2018 and the SWIFT Weighing Indicator and High-Speed Transmiter has won as BEST MEASUREMENT SYSTEM 2018, which is characterized by its easy assembly in industrial applications, DIN rail and PANEL, both in static weighing as dynamic. 19/11/2018 – UTILCELL has participated in EUROTIER, the the leading fair for cattle farming professionals, held in Hannover (Germany). We want to thank all the visits of customers and friends of the sector to our Stand. 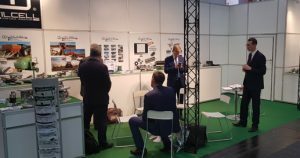 It was a perfect occasion to exchange opinions and show our wide range of manufacturing, as well as some of our novelties this year. Thank you! 14/09/2018 – We launched a new online tool to configure the PIN Model that allows our customers, in an easy, intuitive and complete way, to enter all the necessary data for the quotation, design and viability of this customized product directly through our website. 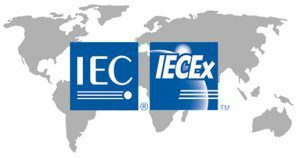 With this tool we seek to speed up the initial phase of the process of product configuration, quotation and production process. Click here to make your quote request. 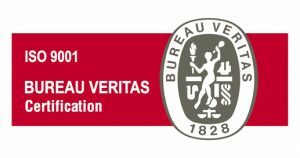 10/09/2018 – Bureau Veritas has audited and ratified our Quality Management system according to ISO 9001:2015. Facing this new version of 2015 is a new step forward in quality assurance, including new concepts such as the management of potential risks in all areas of the company, as well as enlarging the focus towards satisfaction for all parties interested in the company, such as customers, suppliers and employees. From Utilcell we strive every day for the continuous improvement of Quality and the satisfaction of our customers in all areas. 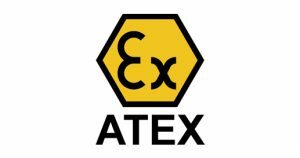 20/07/2018 – Utilcell extends the ATEX certificate for working in Explosive Atmospheres improving some features of the ATEX Utilcell load cells as the power and working temperature ranges. 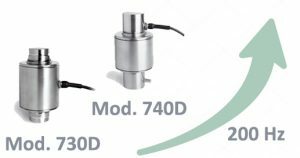 Increasing the measuring speed of the analogue to digital converter ADC to 200 readings/sec (200Hz). Implementing a new set of selectable digital filter options for optimizing its behaviour at many different applications, both dynamic or static. Increasing the transmission speed of the communication output data up to 115200 Bauds, for having a higher speed reading when many digital load cells are in the same scale. 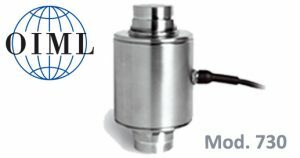 07/06/2018 – UTILCELL has obtained the metrological certification OIML R60 class C of 3000 divisions for the Load Cell Mod. 730 (30…40t). 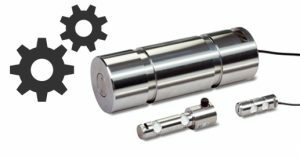 This rocker pin fits perfectly in applications such as high capacity weighing systems and truck scales legal-for-trade.